I will tell you straight up that this project pretty much solidified my decision to sew with knits and never use wovens again. Anything you want to learn about sewing, this pattern has it all. Buttons and buttonholes. Gathered sleeves. Pleats. Set in Sleeves. Side Zipper. Darts. Facings. In Seam Pockets. The only thing I didn’t have to do was an elastic casing. I found the pattern instructions straightforward, well explained, and the diagrams made sense. 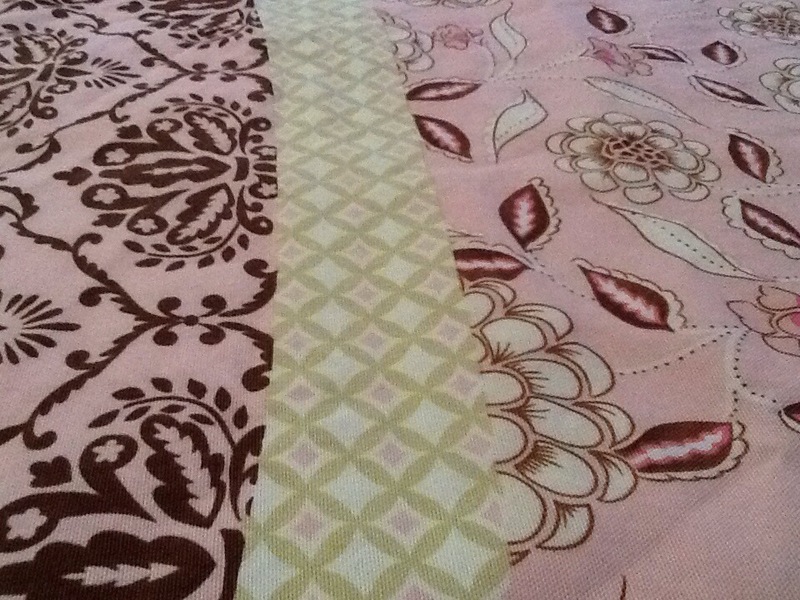 I didn’t find it hard to match the plaid…where I DID match the plaid, centre front, and side seams. I found that part easy, actually. Looking at it now I wish I knew how to match the sleeves. But…I still don’t know how you would do that. Just – so many steps. So many time consuming, fussy, finicky, steps. I would have like to have taken 3 months,- to slowly sew this dress right. I raced through it to meet the deadline, and it shows. I hope no one looks inside. My aunt whom I consider a sewing expert, serges all her pieces as soon as she cuts them out. That would have been helpful in this project. Again, taking time to do it right the first time. Sigh. I’m actually really burnt out from the stress of this project. So much manipulating and fussing with the pieces, the edges frayed quite badly. I did get my serger rethreaded and lumping along close to the end, because by that point the seam allowances were just so trashed. I’m totally done sewing for a deadline. I love sewing, but I love sewing slowly and perfectly more. 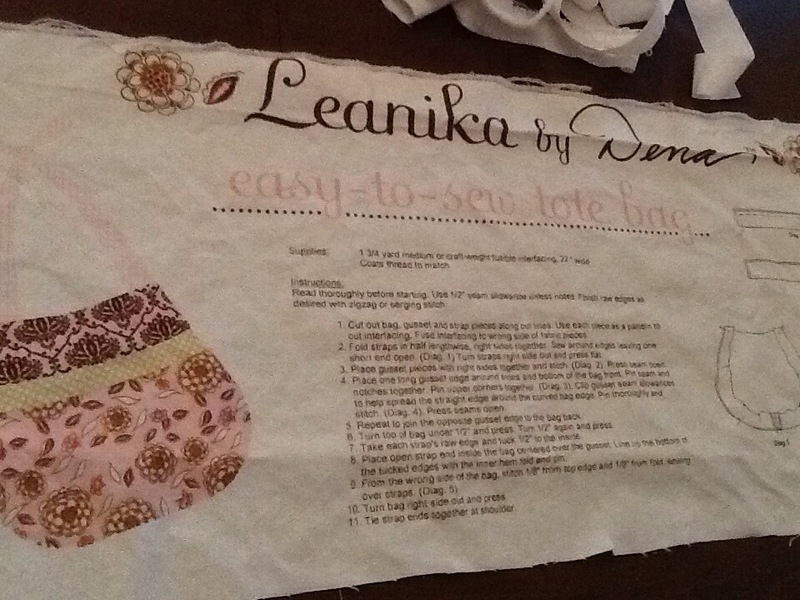 I’m even revamping the way I sew for myself and my family. No. More. Deadlines. One project at a time. Start to finish. However long it takes, working around the whirlwind that is my life. This is a panel I bought at work. I should have taken a pic before I cut it all out, but I was excited. Tis a bag. I am going to of course make it more complicated than the panel calls for, a bad habit of mine with all my sewing projects. I am going to line it, and put zippers down the sides, to give access to the fat deep bottom. This panel is so pretty. I have wanted to sew it since I started working there, and now that I have a baby girl, I’ve decided I can have a PINK bag. The panel includes bag, gusset, and strap pieces. I will be lining the gusset and the bag. 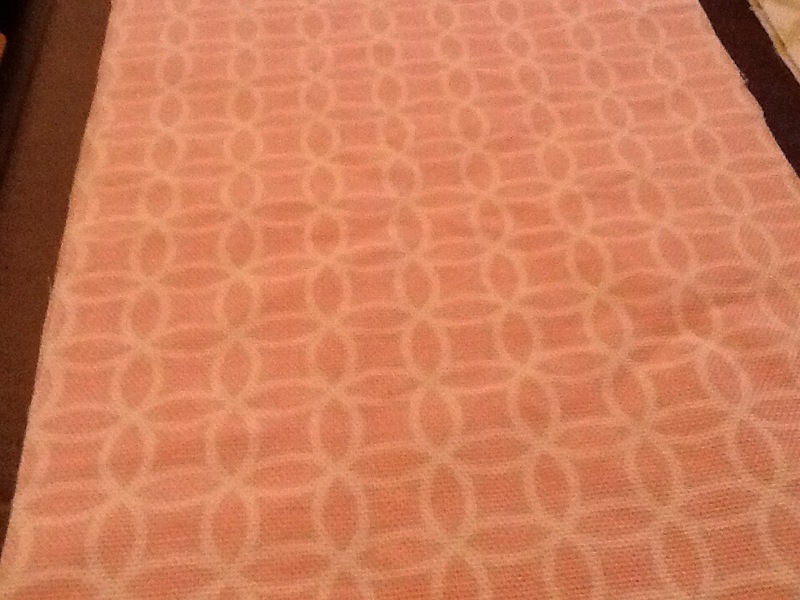 This is a close up of the print pattern on the front and back of the bag. Hopefully I get this put together soon. I want to add zippered pockets on the inside, but I believe that is above my skill level still. I look forward to questions and comments. Happy sewing!